Congratulations to Marco Johnson Winner of the Event #48 $2,500 Limit Hold'em Six Handed ($206,796)! Marco Johnson knows plenty about finishing runner-up at a WSOP event. He has done it three times now, including in this very event last year, as well as a runner-up finish in an event just last week. Well today, Johnson wouldn't be denied, as he took down Event #48 $2,500 Limit Hold’em (Six-Handed) for his first elusive bracelet, and $206,796. The big story coming into the day was David “Bakes” Baker looking for his fifth final table at this year’s WSOP. He came into the day as one of the shorter stacks, and was never able to get anything going, as he busted in 10th place. We also lost Mike Watson along the way to the unofficial final table, after Watson managed to secure at least three double ups. The first player to bust from the unofficial final table was Danny Le, who started the day as the chip leader. He was the short stack coming into the last table, and busted when Michael Shiffman’s ace-queen caught up to his pocket fours on the turn. If you wanted an idea of how swingy a game limit hold’em can be, look at Maria Ho’s day. Ho started the day in the middle of the pack, and quickly built up a monster chip lead. She carried that lead into the final table, but from there, everything went wrong for her, as she lost every pot she entered on her way to busting in 6th place. From there, we lost Schiffman in 5th place when his flopped two pair was rendered virtually useless by the turned set of Marco Johnson. 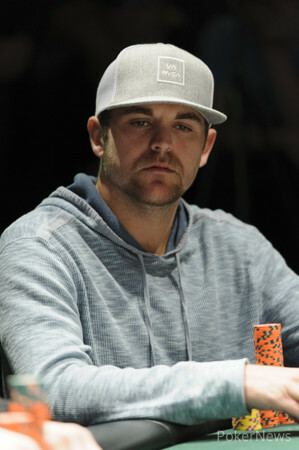 Not long after, Danny Warchol busted in fourth in a pot that gave Johnson a big chip lead going into his three handed battle with Juha Helppi and Jeff Thompson. Three handed play lasted through the dinner break, with Johnson never letting go of the lead. Eventually, Helppi bowed out in 3rd when his pocket fours couldn’t catch up with the jacks of Thompson. Going into heads up play, Johnson help a 1.6 million to 900,000 lead over Thompson, and the two went back and forth for about 20 minutes before Johnson won two big hands in a row. On the last hand, Johnson held middle pair, and Thompson had an open ended straight draw. He couldn’t hit it, and the bracelet was Johnson’s! Congratulations again to Marco Johnson for finally breaking through at a WSOP event. Stay tuned for more live coverage as always at PokerNews.com. Jeff Thompson raised it from the button, and Marco Johnson reraised it. Thompson called, and the flop came . Johnson bet, and Thompson made the call. The turn was the , and Johnson fired out again. Thompson tanked for quite some time, and counted out his chips. He had just over a raise left, and he ended up putting the raise in. Johnson put him in, and the call was made. Johnson shot up out of his chair in excitment, knowing he was just one card away from his elusive bracelet. Thompson was hoping for a four, six, or nine, but the river was the . Johnson and his rail celebrated while a disappointed Thompson headed for the payout desk. Marco Johnson raised his button, Jeff Thompson reraised, and Johnson made it four bets to play. Thompson flatted and the flop fell . Thompson checked to the aggressor, and Johnson used his big stack to apply pressure with a bet. Thompson called and the turn came . Thompson mixed it up by leading out on fourth street, and Johnson smooth called to see the drop on the river. Both players tapped the table, and Johnson rolled over for the winner. Shortly there after, Thompson raised his button, and three-bet after Johnson reraised. Johnson flatted and the flop was . The action went check-bet-call, and the turn was the . Once again Thompson checked, and called a bet by Johnson, and the river was the . Both players checked the river, and Johnson revealed another winner with the for a pair on the turn. With these losses, Thompson dropped far down in the chip counts, and he would need a valiant comeback to overcome Johnson's decided advantage. The last five or six hands have seen Marco Johnson and Jeff Thompson exchange chips, with each winning small pots on an alternating basis, usually with the holder of the button having the advantage. For example, Thompson raised his button and Johnson flatted to see the flop come . Johnson checked it to the raiser, and Thompson took the pot down with a c-bet. A few hands later, Johnson raised before the flop, Thompson came along, and the flop came . Johnson checked to Thompson, and then raised it up when his opponent bet. This move pushed Thompson of the hand, and the two continues to swap chips early in this heads-up duel. Will Fourth Time be the Charm for Johnson? 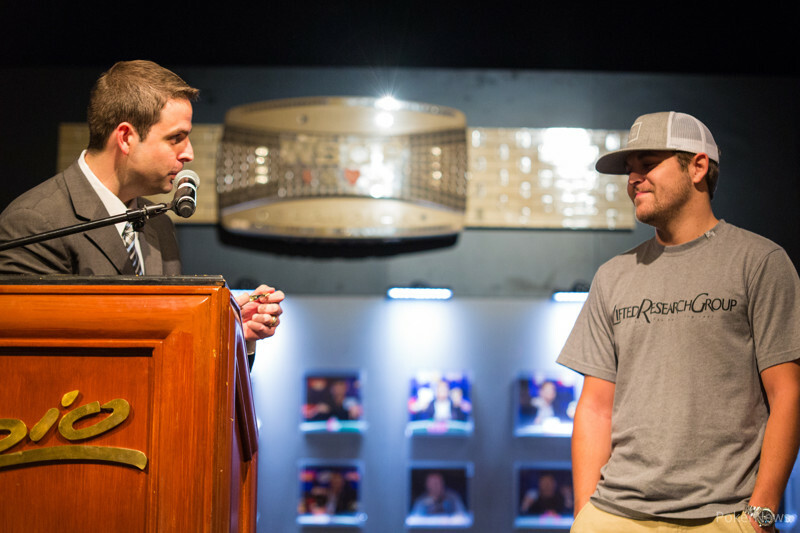 There aren't many people in the world who can say they've been heads up for a WSOP bracelet. Marco Johnson has. In fact, this is his fourth time playing for a bracelet, and so far, he is 0-3. 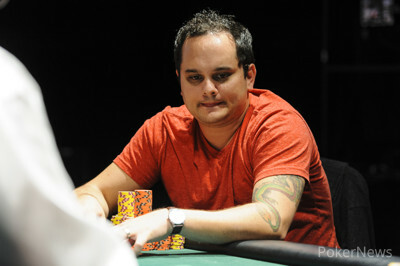 One of those time happened just last week, where he entered heads up at a severe chip disadvantage versus Jarred Graham. Before play restarted heads up, we overheard Johnson tell his rail "If I lose again I'm going to cry." Well Johnson is certainly on his way to that elusive bracelet, but as he knows more then anyone, no heads up battle is done until the final card is dealt. Jeff Thompson raised from the button, and Marco Johnson three bet it. Thompson called, and the flop came down . Johnson bet out, and Thompson called. The turn brought the , and Johnson fired again. This time, Thompson tossed out a raise, and Johnson thought for about 30 seconds before calling. The hit the river, and Johnson fired out again, undeterred by Thompson's raise on the turn. Thompson spent quite some time in the tank, about 90 seconds or so, before folding, and Johnson extended his lead. On the first hand of heads up play, Marco Johnson raised his button and Jeff Thompson flatted. The flop fell and Thompson check-called a bet, bringing the on the turn. Once again Thompson check-called a bet, and a came on the river. One more check-call later, and the pot was pushed to Johnson, who rolled over for the win. 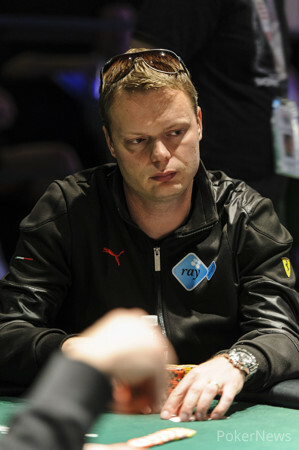 Juha Helppi's tournament came to an end after two crucial hands failed to go the Finnish pro's way. 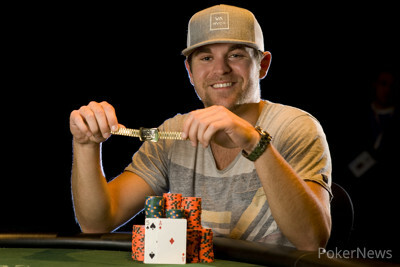 First, Jeff Thompson opened for a raise, Marco Johnson reraised, and Helppi made it four bets to play before the flop. Both opponents flatted and the flop came . Johnson checked to Helppi, who obliged with a bet, and Thompson made it two bets to go. This folded Johnson, but Helppi came along to see the fall on the turn. After Helppi checked, Thompson continued with a bet, and this moved Helppi off his hand. Just a few hands later Johnson opened for a raise holding the button, Helppi reraised, and Thompson made it three bets to play. Johnson called, and Helppi did as well, although this put him all in for his last bet. On the flop, Thompson bet out, and Johnson got out of the way. Thompson had Helppi on the ropes with an overpair, and the turn ( ) offered no help. The dealer burned and turned the river card, and the ended Helppi's tournament life in 3rd place. We just lost Juha Helppi in 3rd (details coming), and Marco Johnson and Jeff Thompson are taking a 15 minute break before the heads up battle. Day 3 of Event #48 ($2,500 Limit Hold'em Six-Handed) is on the Way! Day 2 of Event #48 ($2,500 Limit Hold'em Six-Handed) is in the Books!